Here you can find large antique silver flat tableware; silver monteith bowls, silver punch bowls and silver dishes with covers (cloche), which are large and often part of royal or noble collections. 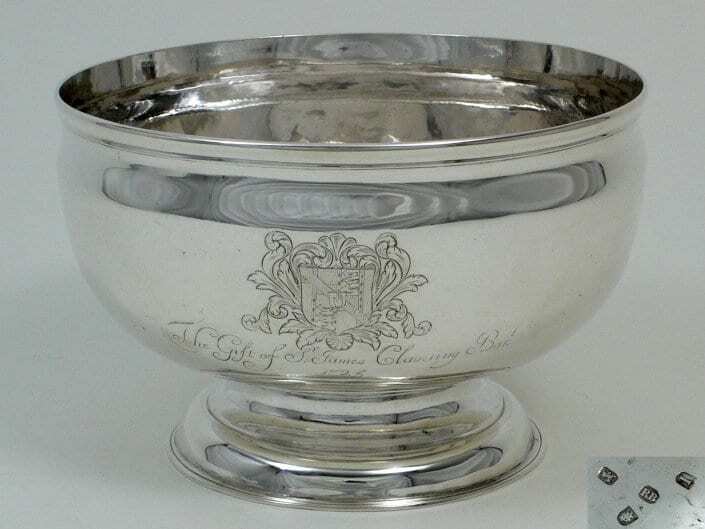 A silver monteith bowl, or glass-cooler, was filled with cold water thereby tempering the glasses and thus making it possible to drink a fresh glass of alcohol. It was never standing directly on the dinner table but rather on a side-table. A silver dish with cover (cloche) held the meal warm until it was served. 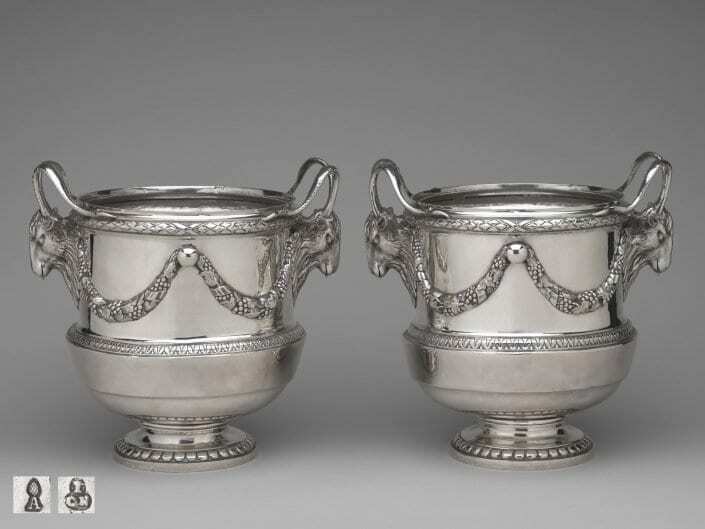 An antique silver wine-cooler could very well be used today as a champagne cooler or sparkling wine cooler. The wine coolers, important parts of a table service, have the form of a vase and a hammered corpus that is raised on a high, round, profiled foot. The foot is moreover adorned with a gadroons frieze. This large royal german round silver dish and cover (cloche) with the monogram ‘FA’ belonged to the silver chamber of the Royal House (Wettin) in Dresden (Frederick Augustus III/I, King and Elector of Saxony and Duke of Warsaw (1750-1827)). The present large german silver monteith bowl with English provenance, made in Augsburg around 1710, is a work by Johann Caspar III Gelb. 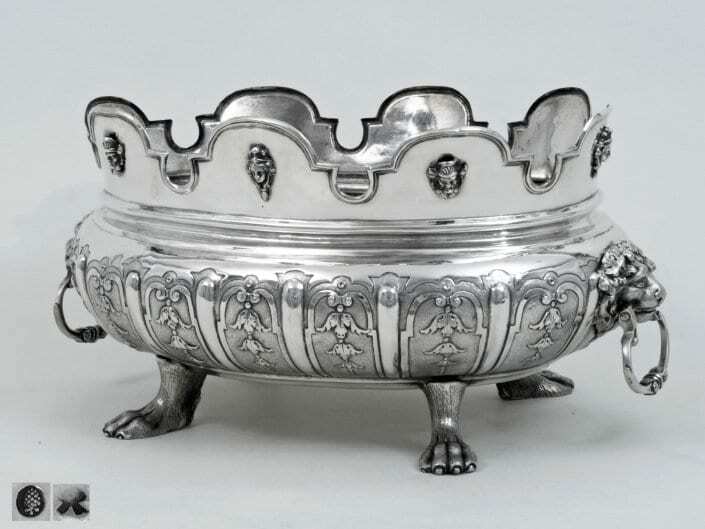 This silver punch bowl is a perfect example for the George II period. It was made in London 1724/5 by Richard Bayley. The crest belongs to Sir James Clavering of Axwell, 4th Baronet. Monteith bowls made of silver are very rare today. Due to the intrinsic value of silver, they were quite quickly melted down, when the need to make money (e.g. during war) was pressing.